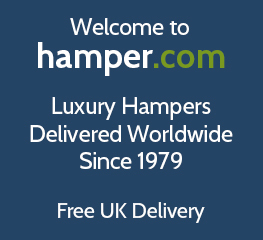 Welcome to hamper.com, bestselling hampers for her since 1979. Surprise a special lady with our handpicked from our customer favourites and best-selling ladies hampers. With female inspired hampers that include chocolate, champagne, wine, gourmet foods and much more - you can't go wrong with a luxury hamper from our best hampers for her range. This most popular food gifts for woman range also include Free UK Delivery and gift message. With so many hampers available for woman, finding the perfect present for her is often a challenge. So at hamper.com we have looked at all the most popular hampers based on feedback and reviews and added them to their own product range. Our best selling hampers for her range gives you the very best in luxury hampers whatever the occasion and make for great gift ideas for ladies of any age. A great deal of our sales from our bestselling hampers for her range come from customers looking to buy hampers for their mum and when it comes to treating mum to a delicious food hamper, you really don't want to to take anything by chance, which is why buying the very best mothers day hamper or birthday hamper for her are ideal gifts to surprise your mum on her special day.